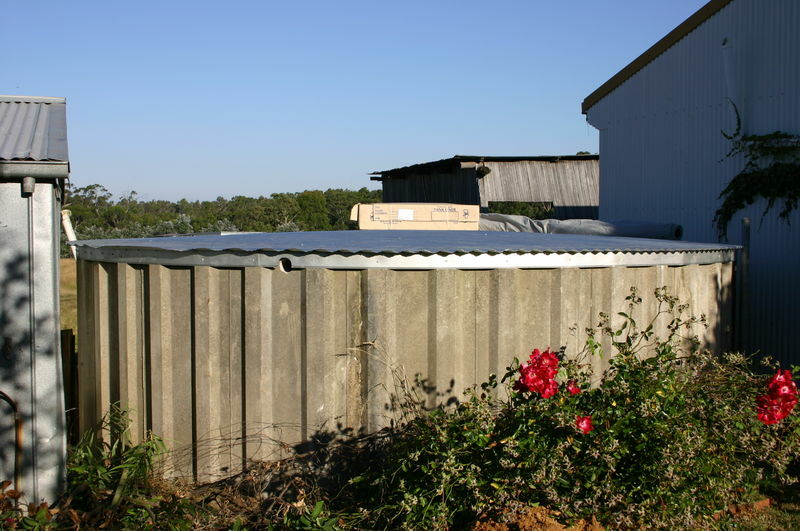 Do you have a leaking water tank or does your watertank need a new roof ? 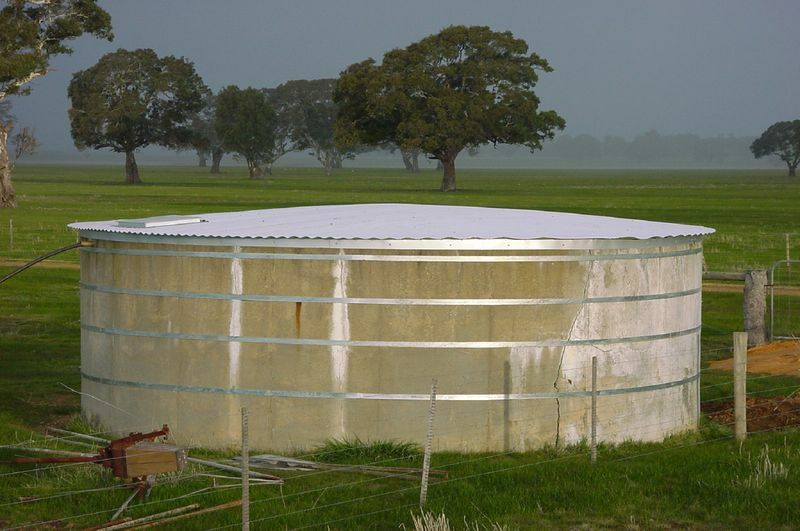 Specialised Tank Services have been in the water storage industry since 1992. 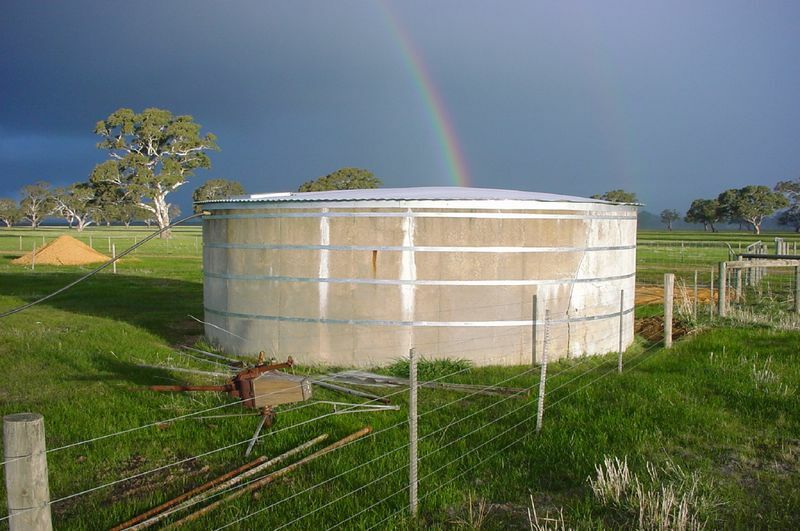 We are positive we can find a solution to your water storage needs. 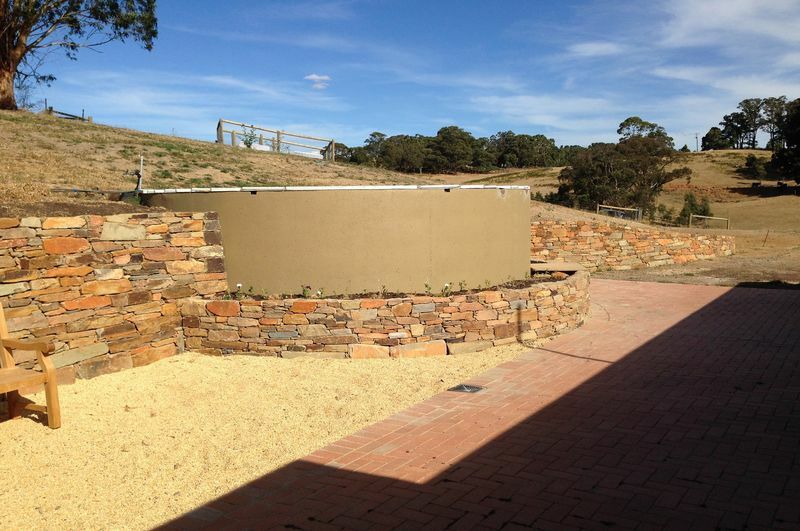 Our office is located just outside of Ballarat, however we service a large part of Victoria including, Stawell, Geelong, Bacchus Marsh, Warrnambool, Castlemaine, Avoca and surrounds. 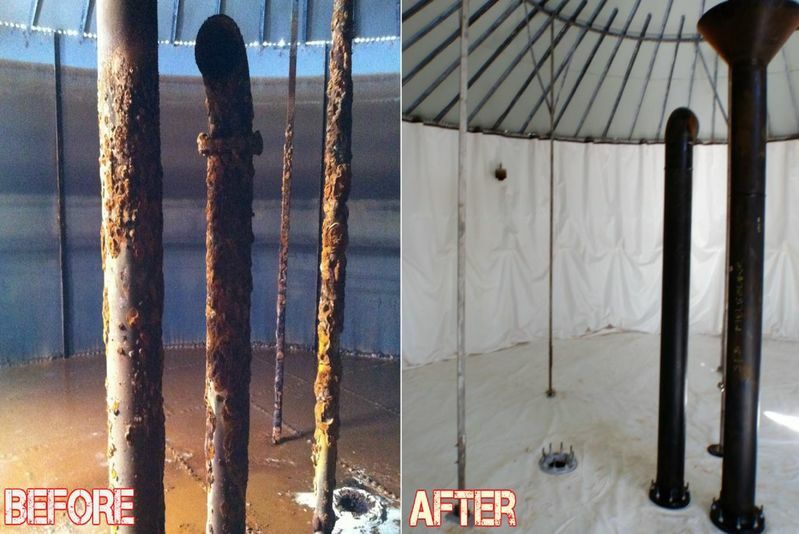 We will rejuvenate your leaking water tank with quality and ease, no matter what the size. 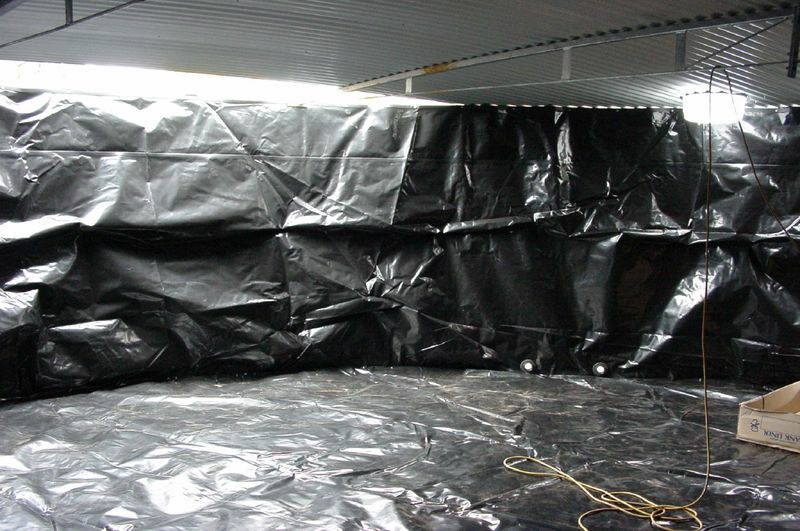 Our liners are a reinforced polyethylene tank liner with 4 layers of water proofing, which means it has 5 layers of bonded polyethylene with a tough fibre reinforcing weave in the centre, it is also self-supported by lugs that are attached to the wall and the base, this structurally assists with support of the liner inside the tank, by having these lugs it reduces the pressure at the top of the water tank and spreads the load throughout the walls and the top. 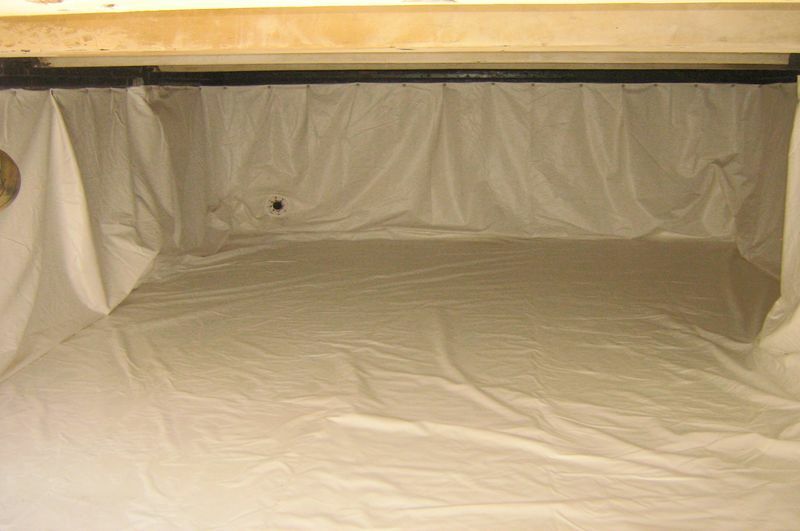 Our liners are a BPA-free multi-layered material with internal reinforced fabric weave meets global safety and food standards, ensuring the ultimate peace of mind for the secure storage of safe, clean, fresh and chemical-free water. 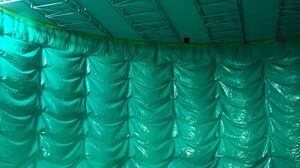 Our liners are double seam welded for Australia's tough conditions. 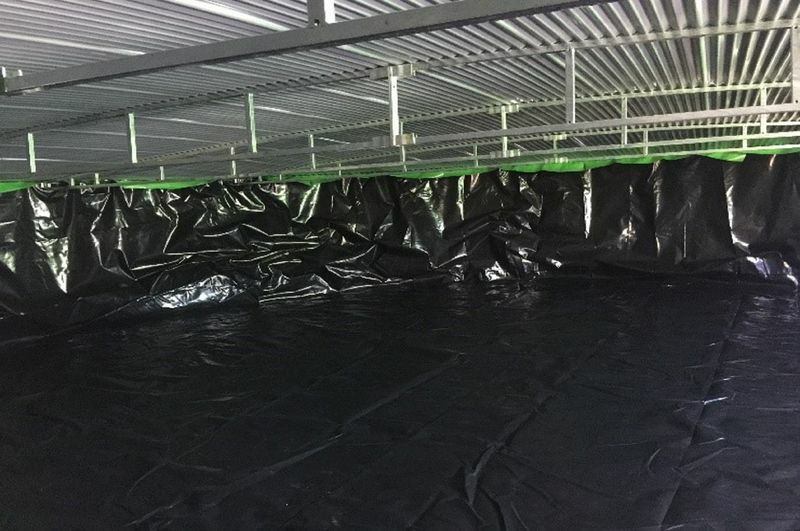 Our innovative double seam welded liner provides the ultimate protection at the liner joint, preventing leaks, drips, seepage or wicking of your previous water. 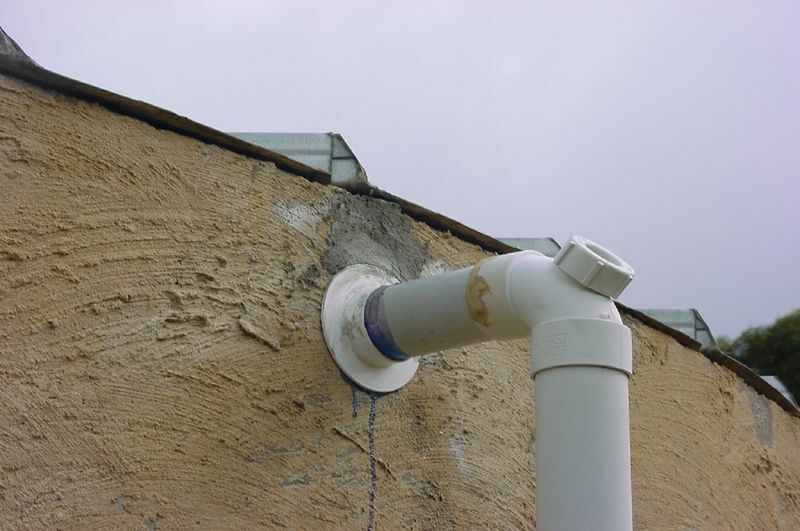 Water seepage from your liner can encourage white ants or invasive roots, so insist on a double seam welded liner. 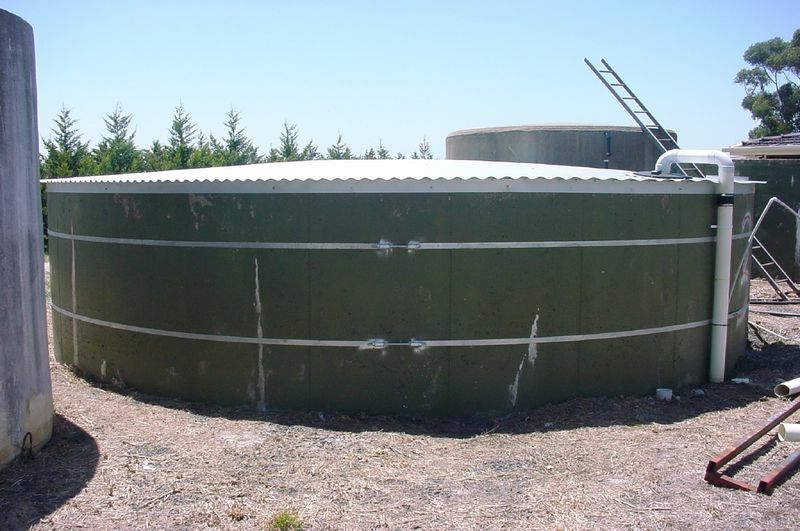 The environment inside a roofed water tank is ideal for a tank liner i.e no sunlight, wind or general motion hence a 10 year warranty with the tank liner and installation can be provided. 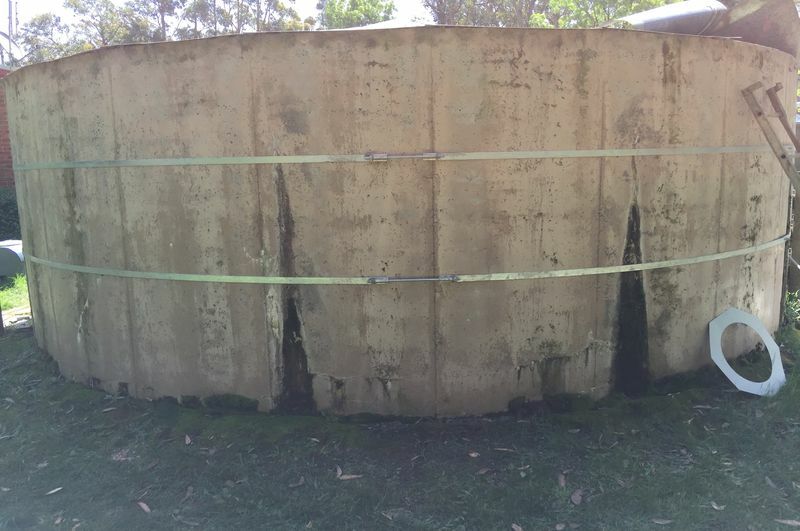 We believe that lining your water tank is the most cost effective way to fix your leaking water tank as it is not actually repairing your tank, but putting a new "tank" inside of your old water tank. 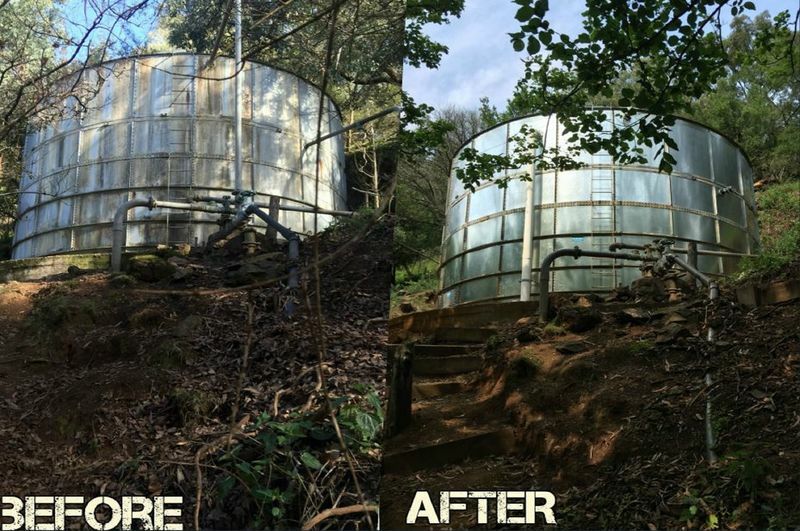 Unlike other methods of tank repairs, we don’t need to be concerned about individual cracks in the tank structure as we cover the entire interior of the water tank with the tank liner including any cracks that develop in the future. 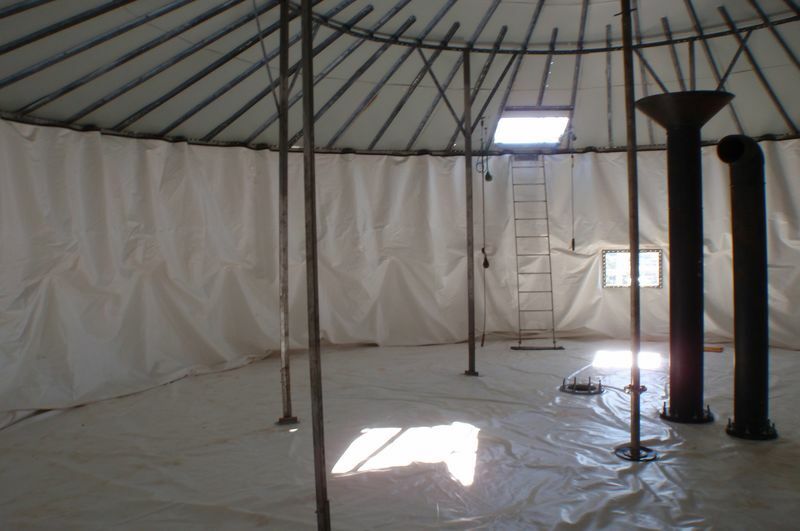 After your water tank is drained, cleaned and checked for sharp protrusions, we install a layer of geotextile, a non-woven polyester fabric which is non degradable and ideal as a bed for the liner or a 25 mm layer of sand as an alternative to geotextile. We then replace the outlet and overflow fitting through the wall with new fittings to ensure that nothing is left that could create a problem for you later. 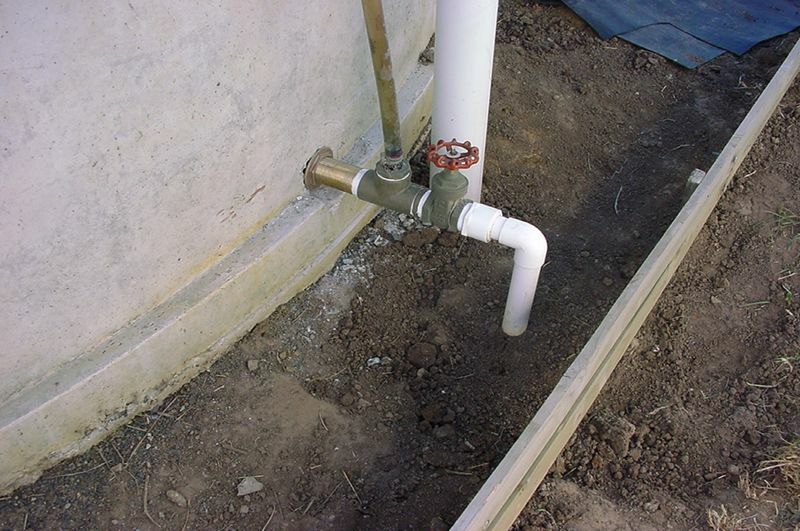 On steel water tanks, we may use the existing fittings, depending on their condition. 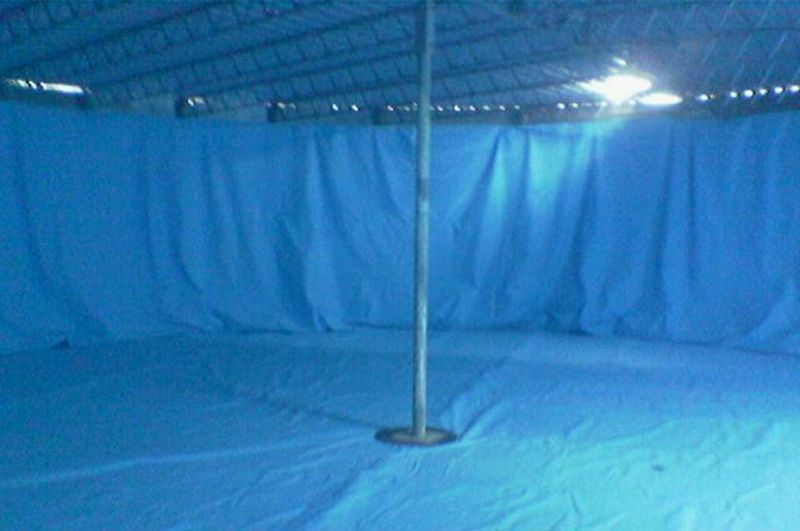 We only allow for one outlet and one overflow in our quote unless you have indicated otherwise. 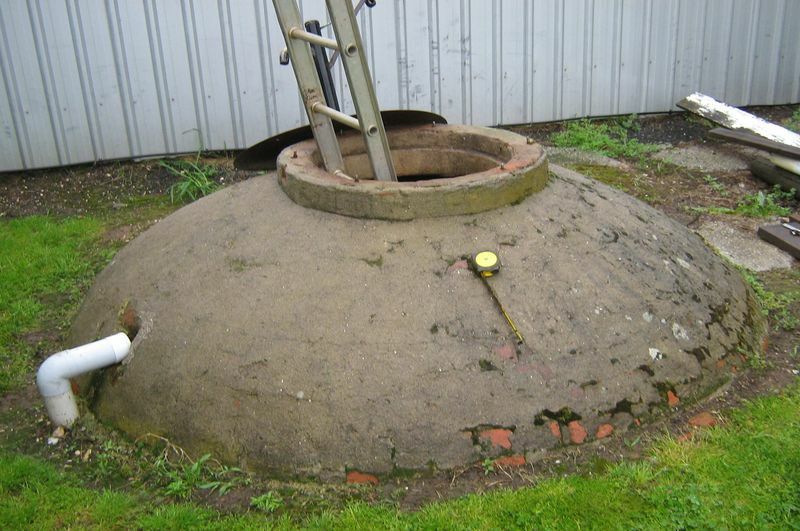 Extra charges will apply for additional fittings. 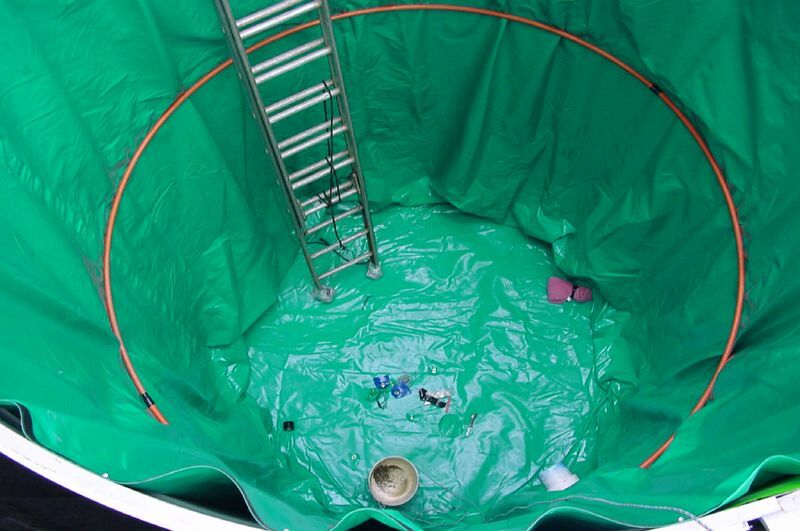 The tank liner is fixed to the perimeter of the concrete water tank, above the overflow level, using powder-actuated pins with a zinc washer approx. every 500mm. 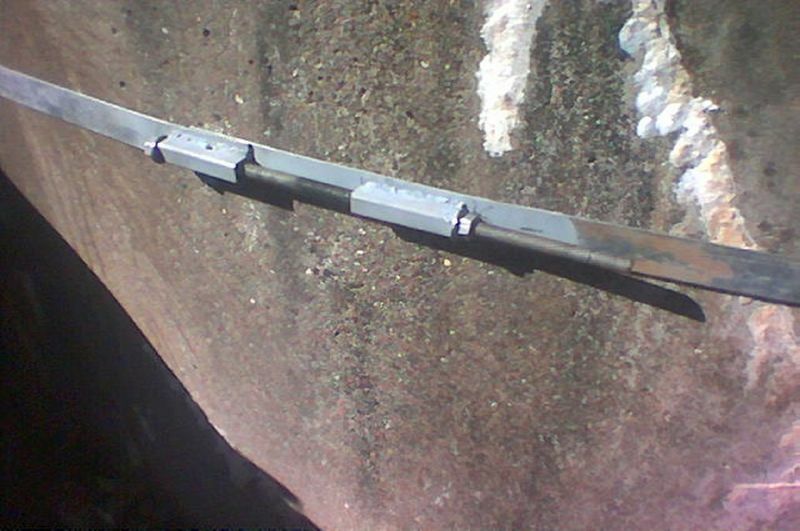 Tek screws are used for steel and poly tanks. 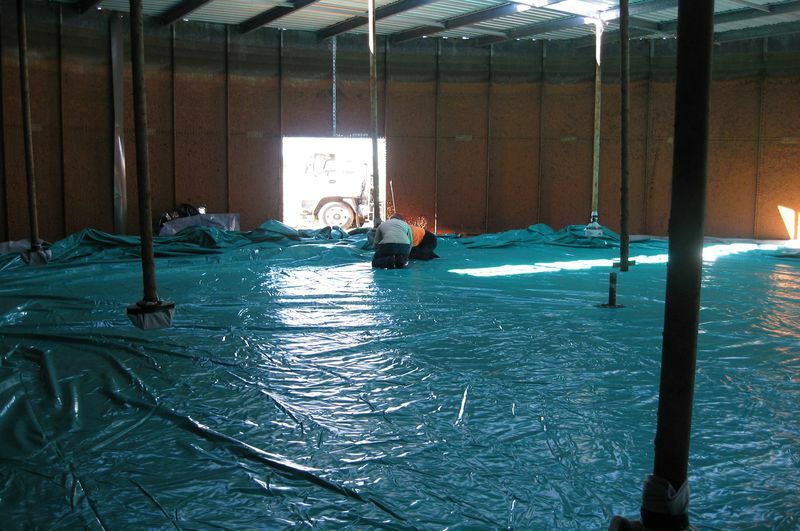 The liner is checked twice during the installation process for perforations to ensure a high quality installation. 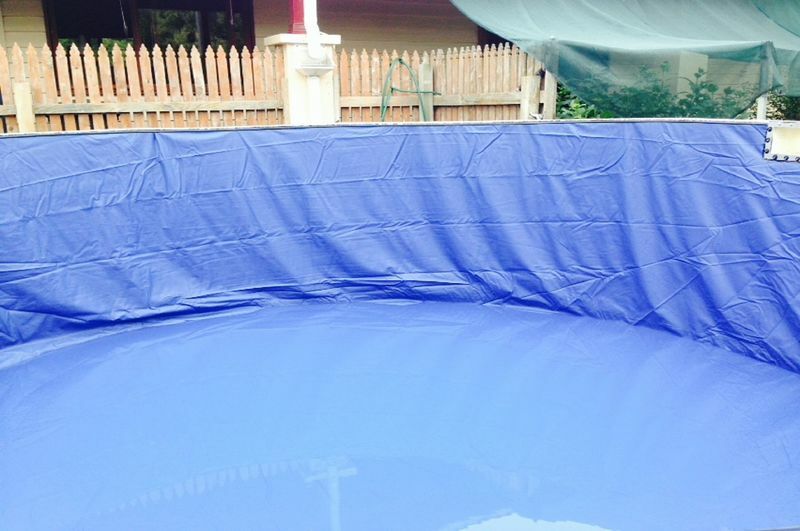 Water can be placed in your tank as soon as we are finished. 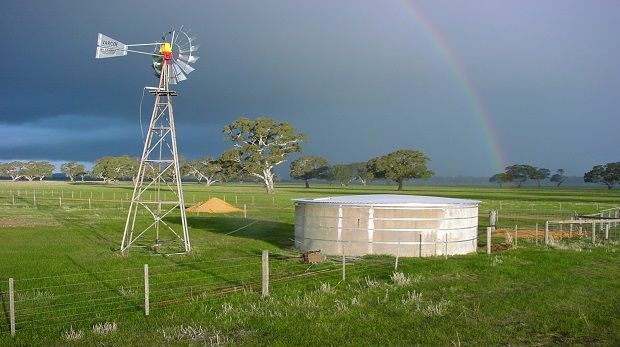 Water can also be pumped into another tank nearby (within 50mts) if there is spare capacity to save your water. 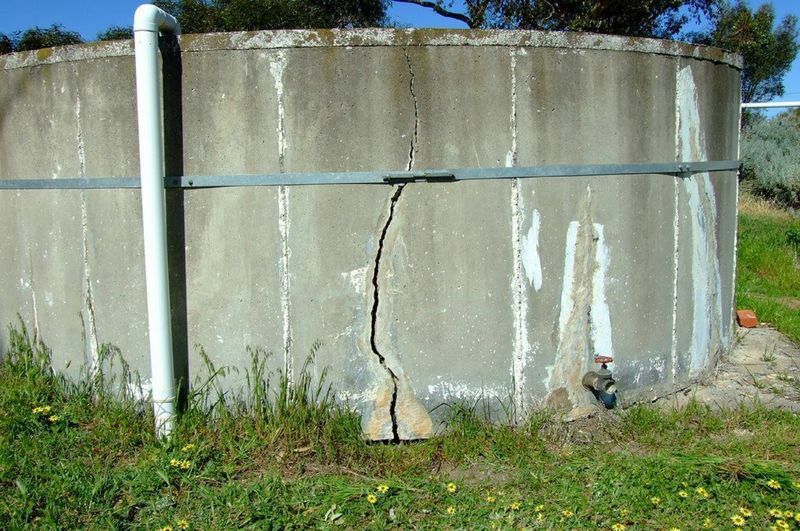 Concrete tanks are held together by an internal skeleton which is the steel reinforcing in the concrete when tanks have been leaking for long periods of time the reinforcing will rust, when this happens in full height vertical cracks it effectively breaks the steel band holding the tank together in extreme cases this can cause a concrete tank to collapse which can be destructive to buildings and anything in the path of debris and water. 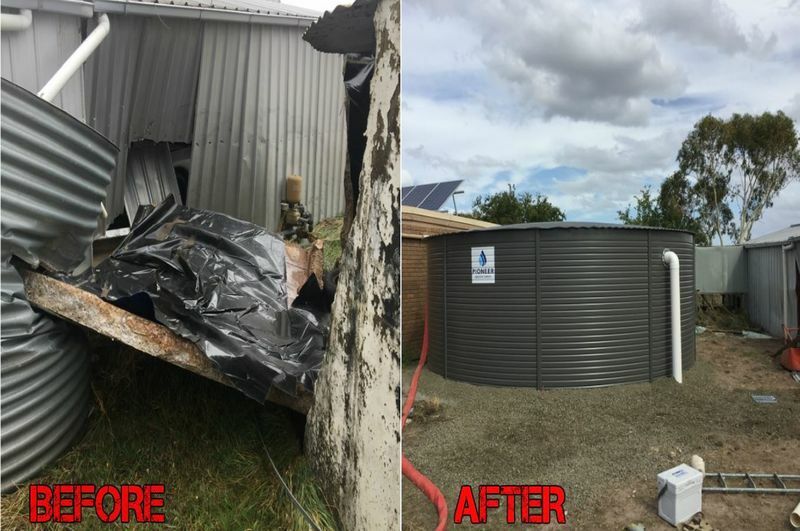 This can be prevented by getting a tank liner installed at the first sign of leakage or if tank has been leaking for some time galvanised steel bands can be fitted which will give the tank full strength again. 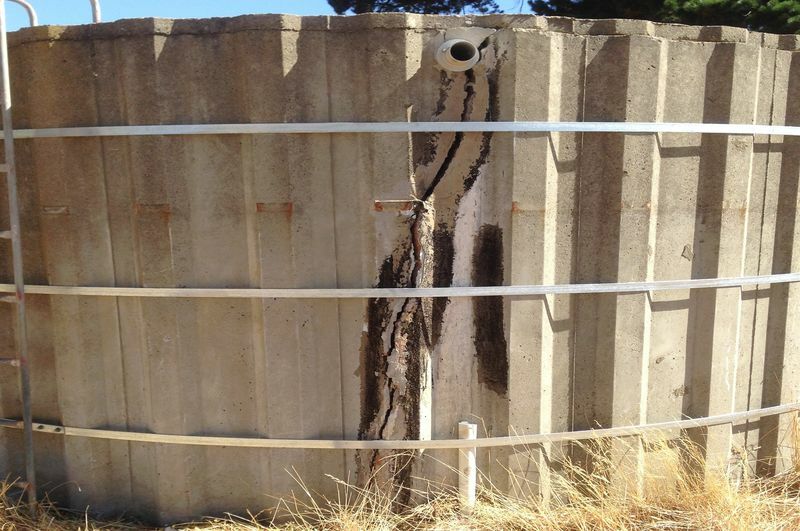 Vertical Cracks are most common in tanks but steel bands will help prevent any disasters. 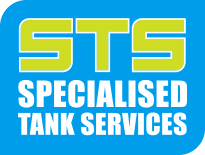 Specialised Tank Services can help you with any problem you have with your water tank! 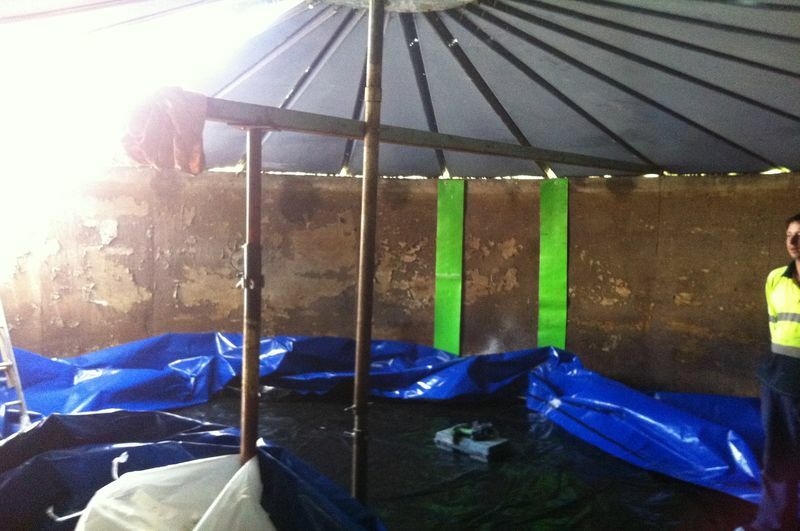 For a no obligation quote, please contact us in the office or online.